Just in time for summer, you can have your own private resort by making this College Grove “gentleman’s farm” your own this spring. It is officially coming on the market next week but you can beat the crowd by contacting Realtor Dee Russell today. Therees even bar seating so the barbecue chef can converse with guests while sopping the ribs. Located minutes from SR 840 and off Owen Hill Road, the six-acre property that includes a horse barn. It will be listed at $1.25 million. The home is set up for entertaining with a huge gourmet kitchen, keeping room and home theater. There are two bedrooms on the first floor — one a master suite, the second which can be used as an office, guest room, you name it. And there are three more on the second floor — two of which are en suites. A wonderful mix of formal and informal spaces make this home as welcoming for its full-time occupants as it is for guests. The formal living room has a wood-burning fireplace and the formal dining is perfect for those special occasions. The family room and sun room off the kitchen are comfortable gathering spaces for the family. A wood-burning stone fireplace is also found here. If you can think it, this home probably already has it. The four-stall barn has a tack room and office and the property features four-board horse fencing. 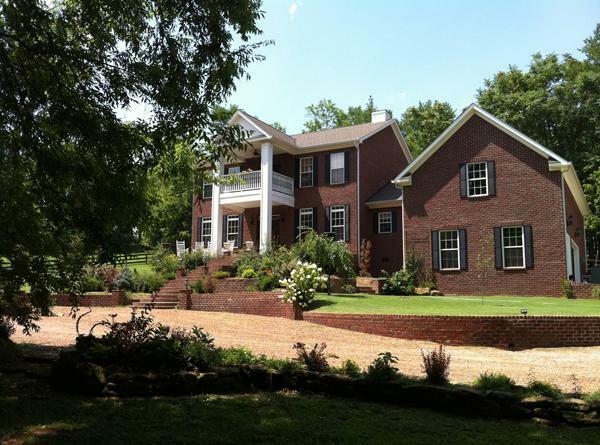 This home is zoned for College Grove Elementary, Page Middle and Page High schools. Contact Realtor Dee Russell with Realty Trust at 615-207-4585, www.DeeRussell.com, for more information on this property and to learn when you can make it yours.